Eckel Noise Control Technologies has been an industry leader in building acoustic research and testing facilities since 1952. Utilizing patented technology Eckel’s full and hemi-anechoic chambers, portable anechoic chambers (PACs) and SuperSoft test chambers incorporate the most advanced acoustic design elements to create optimal sound environments suitable for virtually any type of acoustic testing or research. Testing facilities designed for acoustic analysis are echo-free enclosures that provide a free-field environment, allowing sound waves to propagate in all directions without obstruction or reflection. 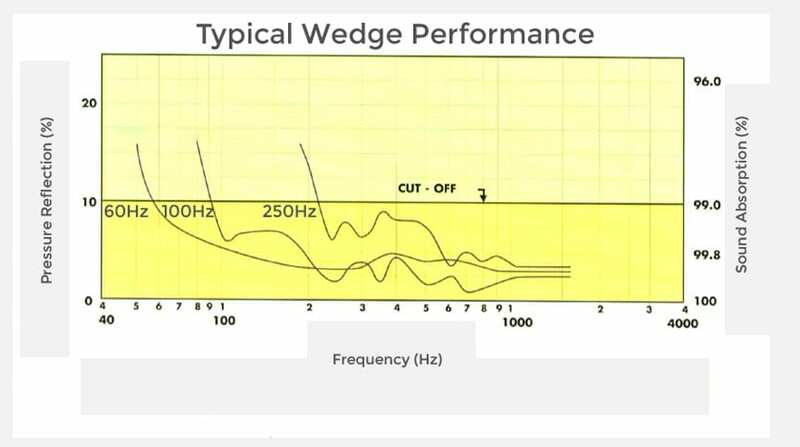 Eckel’s unique, patented wedge design provides an optimum level of sound absorption, allowing precise, repeatable acoustic measurements. Oliver Eckel, the company’s founder, helped lay the groundwork for anechoic testing by assisting in the development of Harvard University’s Cruft Laboratory chamber in 1945. Commissioned by the National Research Defense Committee as part of a top secret research project it was the first anechoic chamber ever to be built. Since then Eckel Noise Control Technologies has continued to be a pioneer in the field of acoustic research having built facilities worldwide for a wide array of customers within the automotive, telecommunications, consumer product, aircraft/aerospace, audio, and academic communities. 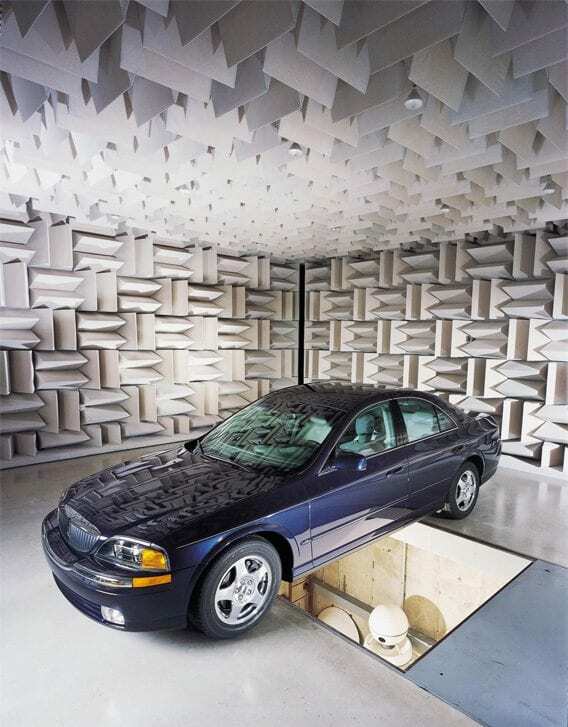 Eckel’s Full and Hemi-Anechoic Chambers are custom-engineered structures designed to create the ideal acoustic environment in which to conduct testing and research within an array of industries and disciplines. These state-of-the-art echo-free enclosures have a sound energy absorption level of 99+% and are precision-designed and custom-fabricated to the meet the frequency specifications required to achieve exacting scientific and product testing goals. 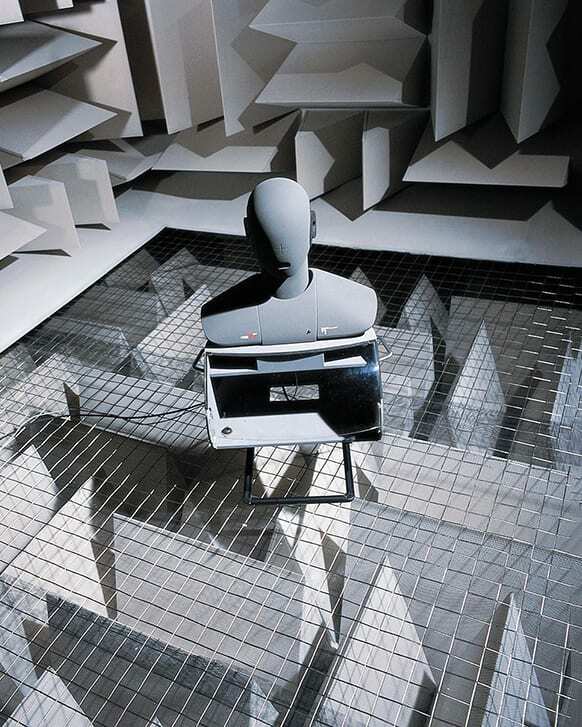 The key performance element of Eckel’s anechoic chambers is their patented sound-absorbing wedges. Eckel’s wedge designs and configurations are founded on 65 years of experience in acoustic research and anechoic chamber construction. Eckel’s classic wedge design offers maximum broadband performance. 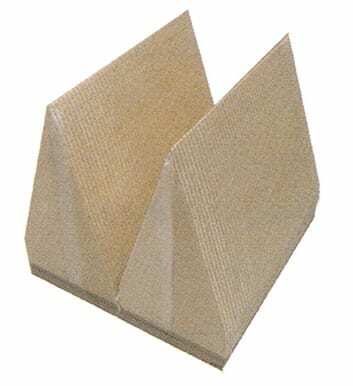 These cloth-covered, fiberglass wedges are commonly used for testing speakers, microphones and handheld devices. This wedge design represents the execution of the classic design with a perforated metal cover replacing the original cloth covering. These cleanable and highly durable wedges are typically installed in chambers for testing automotive products and major appliances. 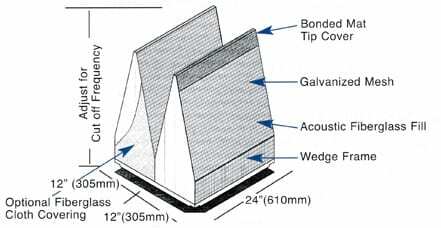 The unique geometry of this wedge design offers a new dimension in anechoic chamber construction. These wedges have multiple parallel surfaces with tapered leading edges that alternate 90° out of phase with one another. This creates a sound absorbing array that achieves the desired cut-off frequency with less depth than conventional wedge designs. 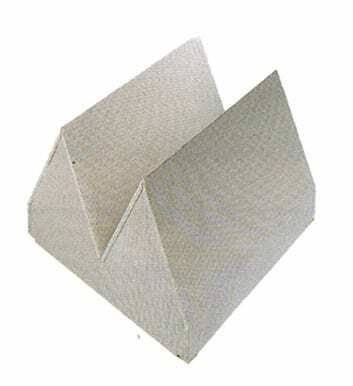 Eckel anechoic chamber linings represent the most advanced thinking in sound absorbing wedge design. The type of product being tested in the chamber will determine the cut-off frequency of the chamber wedges. Eckel wedges are available in a range of cut-off frequencies from 60 Hz to 250 Hz. Eckel’s Full and Hemi-Anechoic Chambers are custom-engineered structures designed to create the ideal acoustic environment in which to conduct testing and research within an array of industries and disciplines. The type of product being analyzed and the nature of the data to be collected determine chamber size, outer structure and most importantly the geometry and design of the proprietary acoustic treatment used to achieve the set performance goals. Using that information each chamber is precision-engineered and custom-fabricated to the meet the frequency specifications required to achieve the testing criteria set forth by the customer. 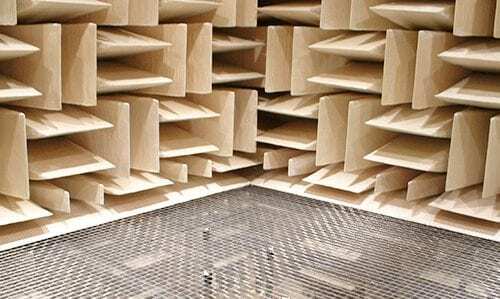 In order to obtain a suitable acoustic environment, the anechoic wedges should be installed in a proper noise and vibration isolating structure. This enclosure may be one of several types of construction built on an isolated floor, or floated on springs or other vibration isolation material. A masonry enclosure is typically used in new construction, or when the anechoic chamber is planned as an integral part of a new building. 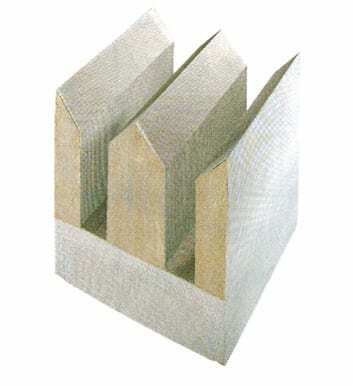 An envelope of 8″ or 12″ masonry block usually provides adequate ambient noise and vibration reduction. The addition of an inner panel room provides increased noise reduction if required. Walls should be constructed on an isolated reinforced floor separated from the building floor or in a pit to allow the working floor in a chamber to be flush with the host room floor.